.store which entered the sunrise phase on the 6th of April, is already slated to make its mark in the Top 10 new gTLDs in terms of sunrise performance, standing at the 515 sunrise order with 5 days of the sunrise remaining. 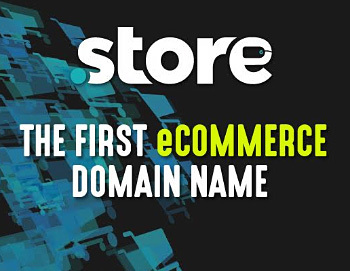 As the first e-commerce focused domain, .store has seen an eclectic mix of brand applicants ranging across different industries and categories from fashion & apparel to tech giants, and brick & mortar stores. A quick glimpse at some of the brands that have submitted applications include H&M, Banana Republic, Gucci, Prada, Zappos, Microsoft, Skype, Nokia, Oculus VR, WhatsApp, Amazon, Google, eBay, Walgreens, Tesco, Ikea, Walmart and many more. While 40% of the registrations have come in from the US; Italy and Germany come in second and third, followed closely by the UK and France, demonstrating global interest in the extension. "Big brands have always been at the forefront of our plans. While the eventual goal is to reach anyone looking to sell online, our route to get to them is by first showcasing the global names on a .store. We all see most brands using impossibly long web addresses in their retail advertising. Replacing those with 'brandname.store' is an easy concept to sell. Our near-term goal is to see some of them forward their 'brandname.store' to their existing shopping pages. As long as they replace their advertising call-to-action, it would bring us an unprecedented boost in credibility and visibility. Our sunrise applicant database serves as an excellent starting point for this campaign", adds Sandeep Ramchandani, VP & Business Head of Radix. As with most other TLDs, direct marketing and brand awareness continues to be Radix's launch strategy for .store. In addition to an intensive and broad based online marketing campaign, Radix was also present at ShopTalk, an e-commerce event held in Las Vegas which was attended by over 3000 online retailers. Next week, Radix will also participate in IRCE, which is the largest e-commerce gathering of its kind in the US. The sunrise phase for .store ends on the 5th June, and will be followed by a 7 day Early Access Phase (7th – 14th June). .store finally opens for General availability on 14th June, at 16:00 UTC.